A year from now, I’ll be in Israel. And I’m inviting you to go with me! It’s a beautiful place – the landscape, the history, and the people. It is a place like no other. This will be the third trip I’ve led a trip to Israel. At the end of my first trip in 2010, I felt sad as I left what seems like a piece of home. There is something grounding about Israel. It is a small country in size but a vast country in its diversity. Many people travel to Israel each year to experience the past, the biblical history. But history is alive, you are a part of it, and travelling through Israel becomes more of a journey than a sightseeing adventure. You will not be an observer but a participant. You will interact with people, places, and most importantly, God in ways that will likely surprise you. You’ll face challenges, make discoveries, and take steps into growth. If you allow him to do so, God will change you. 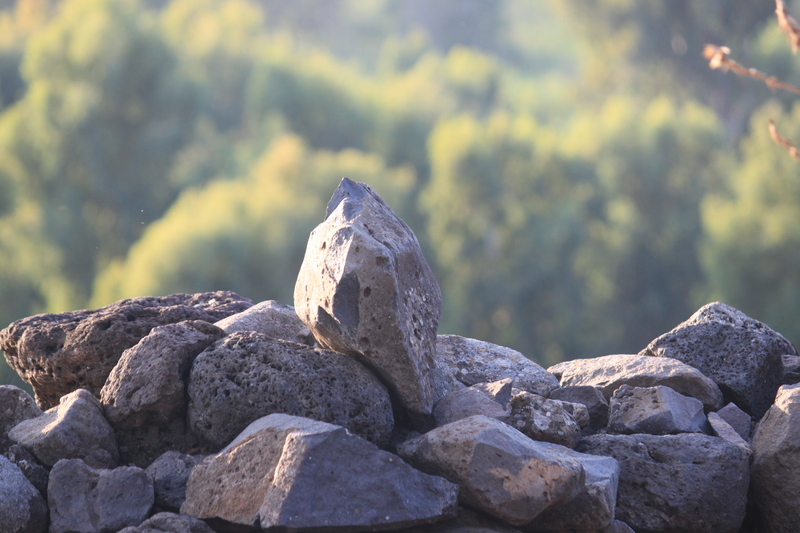 My style of journeying through Israel is experiential. 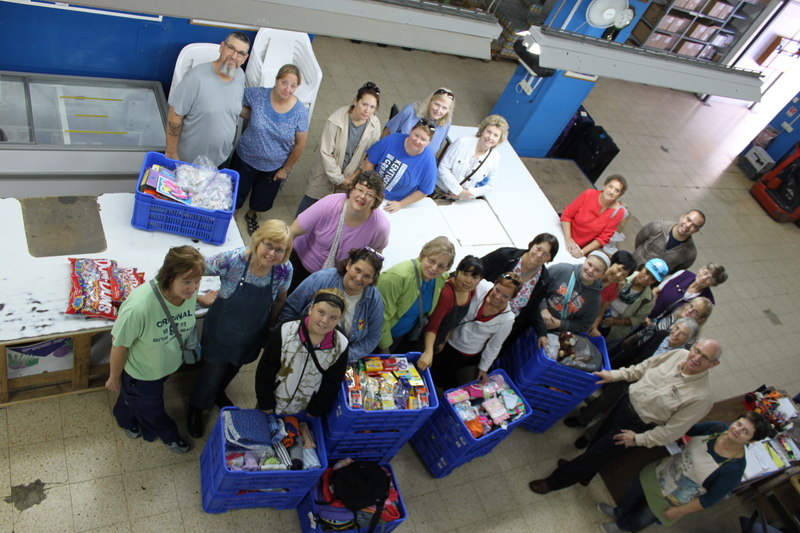 We will serve for several days, setting ourselves aside and meeting needs of others. We will sift through dirt and pieces of history in an archaeological dig. We’ll float in the Dead Sea, walk through the streets of the Old City of Jerusalem, and reach the heights of Masada. We’ll explore Nazareth, Caesarea, Haifa, Jaffa, Capernaum, Tiberias, Bethlehem, and many areas of Jerusalem. 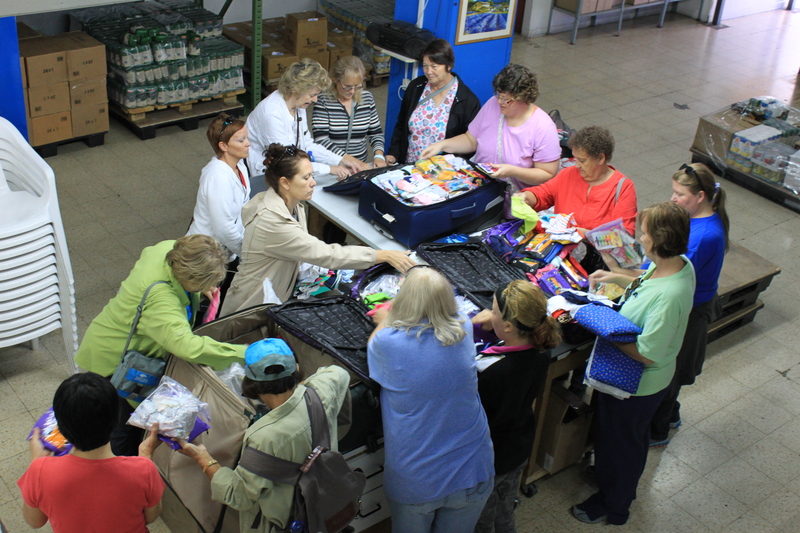 I coordinate the trip through Lifetree Adventures/Group International Mission Trips. They do an amazing job of working with our partners in Israel and taking care of all aspects of registrations and travel details. I will create a private Facebook group, where we can connect with one another and I can share suggestions, answer questions, and make sure you feel prepared. With both trips I’ve led, people have walked away with changed hearts and lifelong friends. Many of us have kept in contact long after our trips. Additional information from Lifetree Adventures/Group International Mission Trips is available here. It costs just $100 to reserve your space. Please don’t delay in registering or in travelling to Israel if it’s something you want to do. While I won’t say “never,” it’s very possible this is the last time I will lead a group to Israel. With the service aspect, small group size, and hands-on experiences, it’s a unique opportunity, and I hope you’ll join me! Many people travel to Israel each year to experience the past, the biblical history. But history is alive, you are a part of it, and travelling through Israel becomes more of a journey than a sightseeing adventure. You will not be an observer but a participant. You will interact with people, places, and most importantly, God, in ways that will likely surprise you. You’ll face challenges, make discoveries, and take steps into growth. If you allow him to do so, God will change you. Join me November 1-14, 2016, as I lead a group to journey through Israel, with an optional add-on trip to Jordan. This is the third time I’ve led an adventure trip to Israel, and each time, I learn, grow, and make lasting friendships. What’s different about this trip? We will serve the people of Israel. Yes, we’ll experience the sights, sounds, and tastes of Israel, but we’ll also interact with, get to know, and serve its people. This trip is available for both women and men, individuals and groups, but space if very limited! Serve. We will work along side an organization that continually builds bridges among people in the region, repairing relationships between the Jewish people and Christians, which has been damaged for generations through misunderstandings, persecution, apathy, and more. Tour. We will journey to such places as Tel Aviv, Jaffa, Caesarea, Haifa, Sea of Galilee area, Jordan River, Nazareth, Cana, Dan, Masada, Jericho, Dead Sea, Judean hills, Mount of Olives, Western Wall, Mt. Zion, Hezekiah’s Tunnels,Garden of Gethsemane, Bethlehem, the Garden Tomb, and much, much more. Experience. We’ll visit an olive oil factory, participate in an archaeological project, and shop in the Old City bazaars. We’ll see the Dead Sea Scrolls and Second Temple model at the Israel Museum and take a reflective journey through the Yad Vashem Holocaust Museum. We’ll walk along the shore of the Mediterranean Sea and Sea of Galilee, float in the Dead Sea, walk through the sand of the Judean hills, and have an opportunity to be baptized in the Jordan River. Journey. Journeying through biblical lands isn’t simply a journey into the past. It’s a journey into God’s presence. You will be amazed at what God teaches and reveals to you as you seek Him in preparation for your trip, during your time in Israel, and in reflection afterward. Optional: For those who choose to extend their trip several days to experience Jordan, we’ll have additional free time in Jerusalem before driving to Madaba, Mount Neb, and Petra, where we’ll spend the day. We’ll continue to Amman, then Jerash, to explore the ancient Roman decapolis and modern city. Call Robin at Lifetree Adventures at 877-783-3066 to reserve space today. This will truly be a trip of a lifetime, one that impacts your faith and challenges you to grow. Read Susan’s blog posts of previous trips. I sat at Cafe Hillel, enjoying my hot cocoa and a good book. Most of the time, I was people-watching. 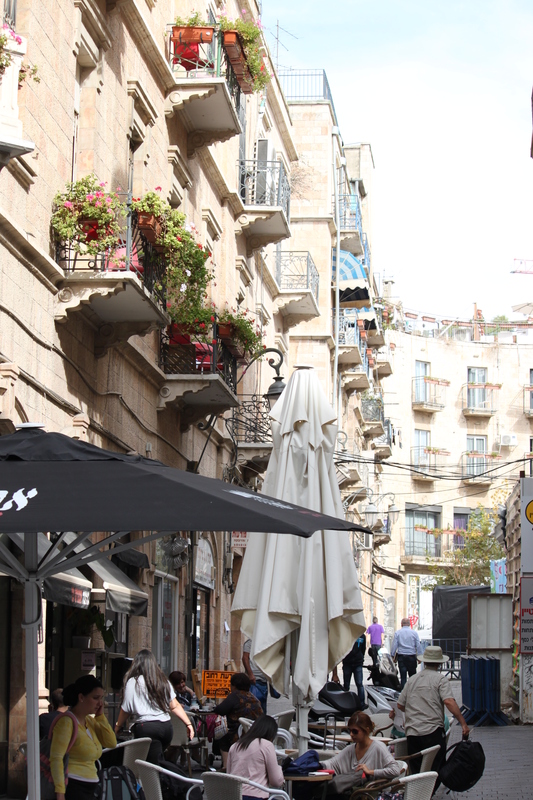 It was my last day in Jerusalem, and I wanted to savor every moment. I had walked throughout many parts of the city. I watched people in their everyday routines. I noticed mannerisms. I caught parts of conversation. I love hearing people speak in different languages. The foreign sounds have an intriguing beauty. Of course, the language barrier can be frustrating at times, too, but I have found there are many ways to bridge the gap, and the effort is always worth it. It creates a focused connection. It’s not really a benefit of the language barrier itself; the benefit is more about overcoming the language barrier. As I sat at Cafe Hillel, I discovered a benefit of the language barrier. A man sitting nearby was speaking loudly on his phone. His tone was animated, but that’s not unusual in his native tongue. It didn’t assume anger, just passion and excitement. His voice was difficult to avoid, and I found myself lulled by the pattern of the conversation. The moment was shattered when he broke into English. It took me a moment to readjust and realize what I was hearing. He was talking about someone, using extremely derogatory language. I often think people have mastered a language when they can accurately use humor, especially sarcasm. I don’t know how funny this man could have been, but he had certainly mastered a plethora of offensive words in English. Thankfully, his tirade (at least, in English) lasted less than a minute. My peace was temporarily rattled. I could still hear him continue in his native tongue, but I didn’t find it nearly as soothing. Maybe not fully understand everything and everyone around us is a blessing at times. Let’s bridge the gaps when we can but realize that sometimes understanding is not a must. The first group of women left Israel the evening of our last day of touring. We arrived at the hotel in just enough time for them to shower, eat, and shove the last few items into their bags. We all met in the lobby and hugged each other, saying our goodbyes. We followed them to the bus, waved, and ran alongside them to the end of the sidewalk. Over half of our group was gone. …and we squeezed every memory out of the last few hours. The next group wasn’t scheduled to leave until 1:30 a.m., but we didn’t want them to stay awake on their own, so we piled into my room and chatted and played games. It was a sweet time. No one seemed to mind sacrificing sleep. It was as if we were already full and content with our time together, but we added a pile of whipped cream and a cherry on top of the experience. We laughed and shared until it was time to roll the heavy suitcases to the lobby and wait for the van. Again, we waved and ran alongside until the end of the sidewalk. There were fewer of us. We had time for a short nap before the final group got up to eat and leave at 7:30 a.m. I hugged them and waved as I ran to the end of the sidewalk by myself. 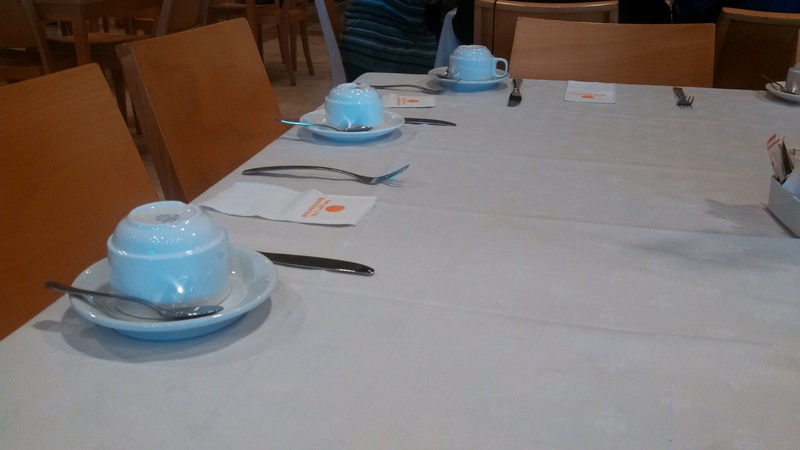 Then I ate breakfast at one of our group tables…alone. I prayed for each women. I was alone but not lonely. My heart was full. People come and go out of our lives, but what we do with the time we spend with them is essential. We can be nourished by our friendships or take them for granted and waste the limited time we have. We can long for more with discontent and never be satisfied, or we can long for more so that we continue to invest and receive and end up grateful for the time we’ve had.